I know I've mentioned my relationship with the Lexus LaceUp Running Series a couple of times before, but now's your chance to cash in for yourself... Yup, today must be your lucky day because I'm giving away TWO FREE RACE ENTRIES to the Riverside LaceUp Event to one random winner! 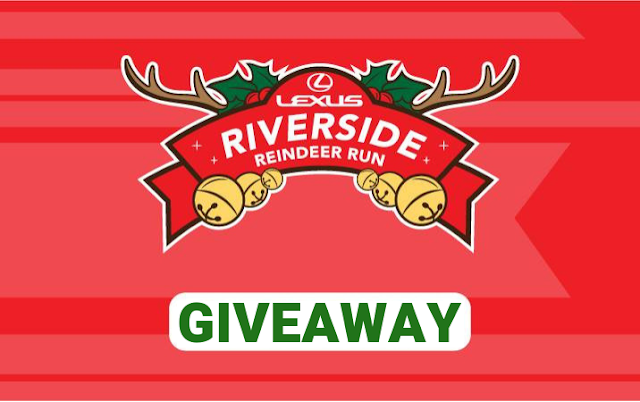 Talk about the perfect way to kick off the holiday season with your BRF (best running friend)! It'll be held on Sunday, December 2nd at Fairmont Park. Multiple race distances are offered - so there's something for everyone! Tackle the festive Half Marathon, the fast 5K or have the wee-ones run the Kids' Race. 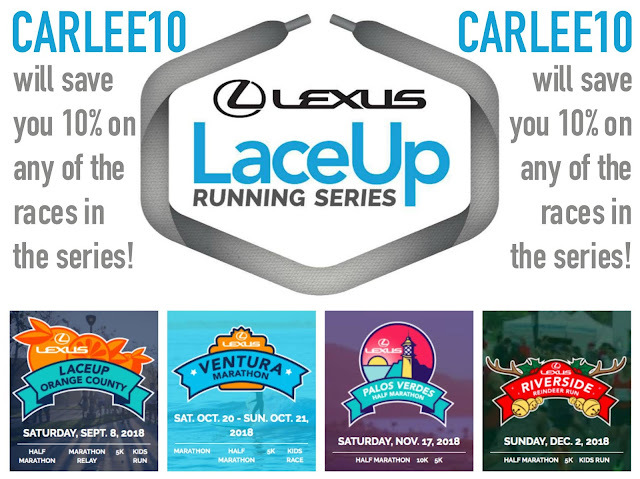 As with all of the Lexus LaceUp Running Series races the participant perks are never ending (or so they seem)! Each runner will receive either a Santa hat or reindeer antlers, a tech shirt, a high-quality finisher's medal, a re-usable race bag, a food truck brunch, a craft beer (for participants over 21), free race day photos and will be eligible for age group awards! Entering the giveaway is EASY-PEASY! Head to my Instagram account, find the picture below and ENTER! The steps to get your name in the hat are as painless as possible! Simply follow me, follow LaceUp Running, like the image and tag a friend (or 73)! The giveaway will run through Friday, November 2nd (giving you a month before heading to the starting line). The random winner will be contacted on November 3rd and will have 24 hours to respond and claim their prize. In case you aren't the lucky winner (or just can't wait), use code "CARLEE10" to save 10%! So grab your friends and register today (and feel free to use the money you saved to buy me a Christmas present as a way to say thanks ;))! Have you ever won an entry to a race before?